The Young Lawyers Division of the Mississippi Bar Association sponsors a High School Mock Trial competition each year. The competition is held at the Mississippi College School of Law in downtown Jackson. It is open to public school, private school, and home school students. Lamar enters two teams in the Jackson Regional competition. Each team has from 6-9 members. Phyllis Skipper serves as Teacher Coach and local attorneys serve as Attorney Coaches. If the teams advance to the State competition, they compete for two days at the Hinds County Courthouse in downtown Jackson. One team is chosen from the state competition to represent Mississippi in the National Competition in May. 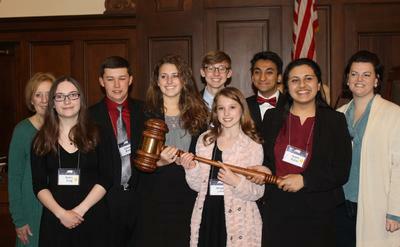 In 2016 and in 2017, the Lamar School Mock Trial Team was presented with a gavel for outstanding performance.